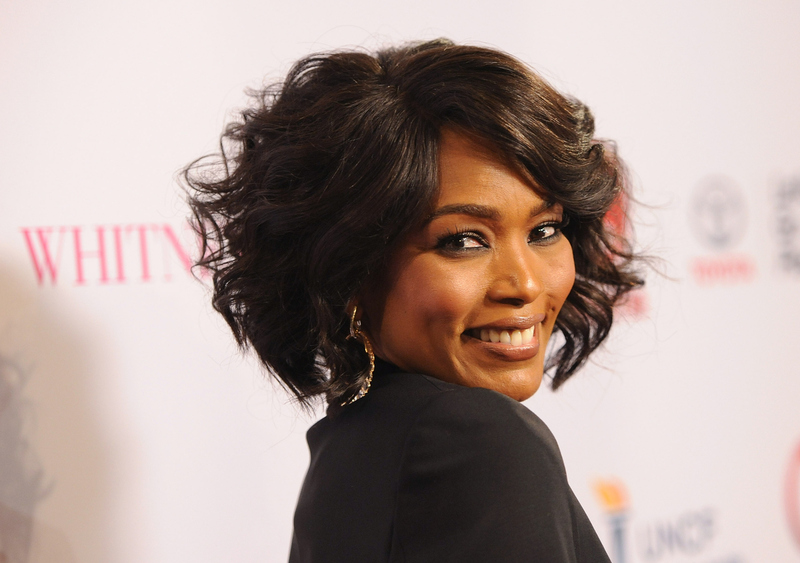 Who is Angela Bassett Husband, What is Her Net Worth? Who Is Angela Bassett Husband (Courtney B. Vance) What Is Her Net Worth? The strongest revenge in life is to shine amongst those who didn’t think you could and that’s just what Angela Bassett has done. Despite being discouraged by her father’s sister who thought she was throwing away her education on theatre, the successful actress has not only shown that she is tremendously gifted, she has gone on to prove that you can attain any goal you set in life, once you put your mind to it. She is now one of Hollywood’s most successful and highest-paid stars with scores of films to her name. Some of the films that have showcased her strong personality include Malcolm X and Panther. She also featured in the Jacksons: An American Dream. But she is best known for her role as Tina Turner in the biographical film What’s Love Got To Do With It. Born on August 16, 1958, Angela Bassett grew up in New York City but had to relocate to North Carolina and then to Florida following her parents’ split. She was raised alongside her younger sister D’nette by her aunts and later, social worker mother. His father had another daughter named Jean from his first marriage to another woman named Betty Jane who passed on in 2014. For her elementary education, Bassett attended Jordan Park Elementary School. She did her seventh grade at Disston Middle School and obtained her eighth-grade and ninth-grade studies at Azalea Middle School. The actress attended Boca Ciega High School and was a straight-A student at. She also sang in the school’s choir and further got involved in other interesting groups in school such as student government, drama club, debate team, and more. The adorable reputation she built basically from her ability to withstand challenges and for excelling academically earned her an admission into the National Honour Society (NHS) and consequently, the first African-American from her school to become a member of the society. With her many achievements in high school, getting a spot in Yale University was much easier for the actress. While in the school, her streaks of academic excellence became more intense. She later received a B.A in African-American studies. To further hone her career, Angela Bassett continued with a graduate program at Yale School of Drama. It was at this point that her aunt thought she was frittering away chances for theatre. Bassett, however, didn’t let that get to her and a Master of Fine Arts became a worthy reward for her persistence. Bassett had a passion for entertainment as a child. She would create shows for their family, performing popular songs and reading poems alongside her younger sister. After majoring in school courses that could make her become an expert in the industry and working as a receptionist in a beauty salon, the actress decided to pursue her calling which is to be on TV. She started searching for acting roles in New York theater and was able to secure roles in two August Wilson plays as well as J.E Franklin’s play Black Girl. This continued until her first TV appearance in 1985 with a role in Doubletake as a prostitute. Angela’s dream came alive so fast the following year she landed her first film role a news journalist in F/X. Her big break in 1991 after she moved to Los Angeles and was starred in Boyz n the Hood. She appeared in Malcolm X and though the film didn’t get the best reviews there was then, the acclaims that surrounded her role in the film earned her an Image Award. Already getting used to fame and mega success, Angela Bassett drew more audiences when she appeared as Tina Turner in What Love Got To Do With It for which she won a Golden Globe Award for Best Actress – Motion Picture Musical or Comedy. She was also nominated for Academy Award. Seeing as she has sustained this prestigious image she created since her film debut, it is always natural that there will be more amazing films coming from her. She started 2000 with a role in Supernova and handled two more projects. Around the same time, she declined to perform in the film Monsterball which she was offered the leading role. She cited sexual contents in the script as her excuse. Halle Berry took up the role and it later won her an Academy Award For Best Actress. The loss saw Basset do more films than ever since the start of the new millennium including Jumping the Broom, Akeelah, and the Bee, The Lazarus Child, Mr. 3000 and Betty and Coretta. More recent films of Basset are Olympus Has Fallen, Black Nativity, Survivor, American Horror Story: Roanoke. Also recently, she has made numerous TV appearances including a feature on the drama series Underground of which also cast the stand-up comedian, Ali Wong. Bassett has great voice acting skills as well. She has showcased these skills in an episode of The Simpsons where she lent her voice to First Lady Michelle Obama. Her voice was also used in the film Meet the Robinsons released in 2007. Angela Bassett is a clear evidence that surely you will magnet nothing less if you have zest and enthusiasm. Her husband is also an award-winning actor who is just as powerful and influential as she is in the industry. His name is Courtney B Vance and he is famous for playing in the film The Hunt for Red October and Hamburger Hill. He also was a star in the TV series Law & Order: Criminal Intent as Attorney Ron Carver. The power couple has been married for over two decades, having wedded in 1997. They have done several works together including authoring a book known as Friends: A Love Story, with Hilary Beard. They have also co-starred in a production of His Girl Friday at Guthrie Theater. The lovers have two children; twins, a son – Slater Josiah Vance and daughter Bronwyn Golden Vance. The children were carried by a surrogate and were born in 2006. Angela has achieved numerous brilliant acting and TV appearances since starting her career which has placed her as one of the highest-paid stars in Hollywood. According to reports, she received thousands of dollars as salary for each role she played in some movies like Notorious, Strange Days, among others. For featuring in films that have grossed millions ($404 million, $205.7 million, $170.2 million, 219.9 million), it isn’t surprising that the Emmy and Academy Award nominee has accumulated a mega fortune of $28 million.